A combination of Andrea grabbing Darren and almost squeezing the life out him and Darren being a little overcome with emotion meant the question never got past ‘Will you’. Given the reaction it was a resounding yes. On Saturday 10th March 2018 Andrea said ‘yes’, and one of our own is getting married. Fast forward 3 weeks and wedding plans are in full swing, venues visited, initial ideas being scribbled down. Darren is planning the perfect party, the loudest music, the brightest lights, it is what we specialise in after all. Andrea has been doing research of her own, registrar, flowers, invites, guests list. With a little more perspective now being brought to proceedings a wedding planning book is ordered and delivered. 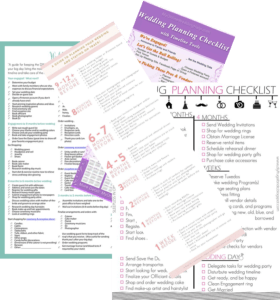 The bible to plan the perfect wedding day, every detail covered, the first page is the wedding check list. As they start to go through everything on the checklist they both begin to laugh. A little bit of background detail. Darren is DJ of over 20 years who specialises in wedding entertainment. Andrea a cake maker specialising in wedding cakes. Both professionals helping couples plan their dream wedding day. What was so funny you may ask? Andrea is a sole trader, as amazing as she is she can only make, decorate and deliver a limited number of orders per week, especially without ensuring her exceptional personal service doesn’t suffer. After years of working and networking with others we speak from experience when we say the majority of wedding suppliers regardless of the service are either sole traders or very small businesses often with 20 employees or less. We get booked up in advance. It is April 2018 and the 2020 bookings are already coming in. If your chosen supplier is awesome you can guarantee they are getting booked well in advance. In Darren and Andrea’s own planning 2 of the venues they visited for a Sunday Oct 2019 wedding already had limited availability. 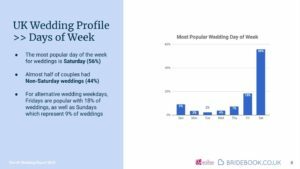 The 2018 wedding report from https://bridebook.co.uk/ which surveyed 3000 couples who got married in 2017 shows the peak time for weddings to be June – September with Friday and Saturday the most popular days. Darren and Andreas wedding plans are hardly peak time. There are no health and beauty experts at PC Roadshows. Darren will admit to getting his haircut once a month, remind him with a month to go, it will be long and unkempt again come the wedding day, or simply he will just forget. Another thing seen when scouring Google for other awesome check lists is ‘remember to arrange someone to look after pets’. Google is full of them! Are these things important, maybe, is this relevant or just filling pages? Thier are a few we could have chosen from the 1 week to go but using this as an example as well it is what we specialise in. Remember good wedding suppliers will be busy people, although many pride and provide and excellent personalised service you will not be their only customer. Leaving such details till the last minute, what happens if song choices are difficult to source, need tweaking or editing? Such important details should not be lest till the last minute. On to our awesome wedding check list, having searched Google high and low some check lists were better than others. One overriding theme was the check list starting from 12 months to go. 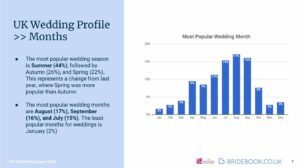 According to https://www.theknot.com/content/too-long-to-be-engaged the average engagement length is 14.5 months. 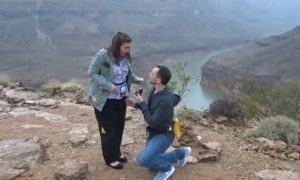 Darren and Andrea have allowed for 18 months of planning. Surly it would make sense to start the wedding planning from 12 months plus. 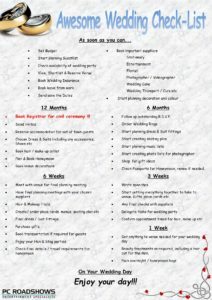 Weddings are not cheap you may just need plenty of time to save for your dream wedding day. Only include things in there that is important and relevant, getting side tracked with little things may just take your eye of the ball when it comes to a major detail. Remember weddings are being booked in some cases 2 years in advance. Weddings are now an all year occurrence. We have seen the number of ‘Out of Season’ and ‘Midweek’ weddings grow considerably over that last few years placing a greater demand on the services we offer. GET IN EARLY!!! Two very simple reasons for this. Until your date is secured you simply cannot secure the services of your other wedding suppliers. Most reputable suppliers will take a deposit which are usually non-refundable. A change may see one of your suppliers being unavailable for the new date, with cancelations resulting in lost deposits and money wasted. The second reason you cannot begin to imagine or picture what services you might want or need, colours, flowers etc. until you have the canvas that is your wedding venue secured to put it all in. 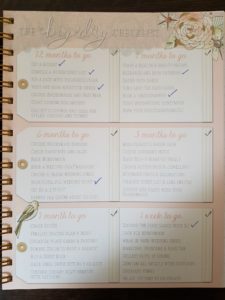 A quick search into wedding insurance from https://www.money.co.uk/wedding-insurance.htm revealed prices ranging from £17 – £59.95 Only some of the wedding check lists we looked at included this. Why would you not protect your investment? Don’t leave things till the last minute. The week before you should enjoy get excited but be relaxed knowing everything is in hand. This blog isn’t about what you should and shouldn’t budget for, how you can save money there are plenty of other blogs out there for that, but it must be mentioned. Keep it affordable, do you really want to start your married life thousands in debt? Whatever your budget is stick to it! In Darren and Andrea’s own planning they made two lists. Need and Want and set a budget. They needed a registrar, they needed a dress etc. They wanted a band, they wanted a chocolate fountain. When the needs were paid for the remaining budget was reviewed and the ‘wants’ were selected. 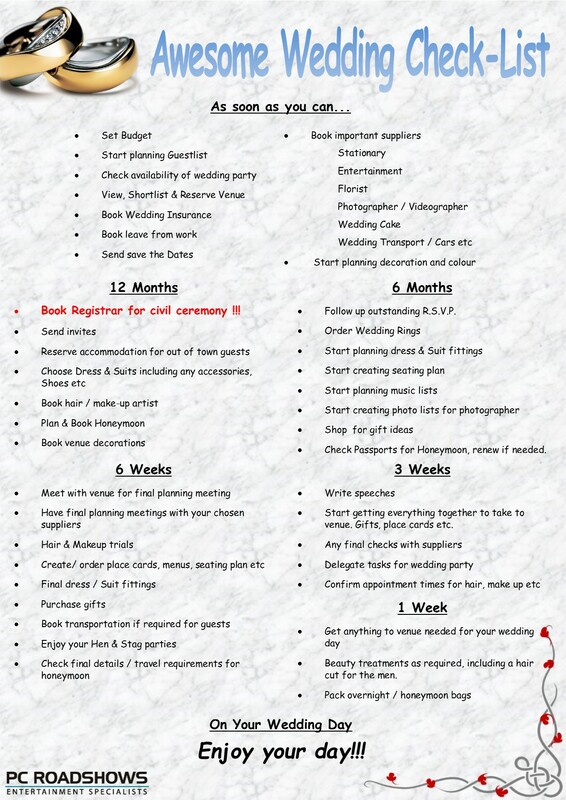 Click on the image below to see our awesome wedding check list. Good luck and enjoy it all.